Final Fantasy IX is my favorite game in the series. The first time I played it, I didn’t care much for Quina; but as I’ve replayed the game over the years, I’ve really come to like him/her. He/She is one of the best characters in the game, especially early on. I wish I had remembered his/her fork. For my birthday, my wife gave me a drawing course. 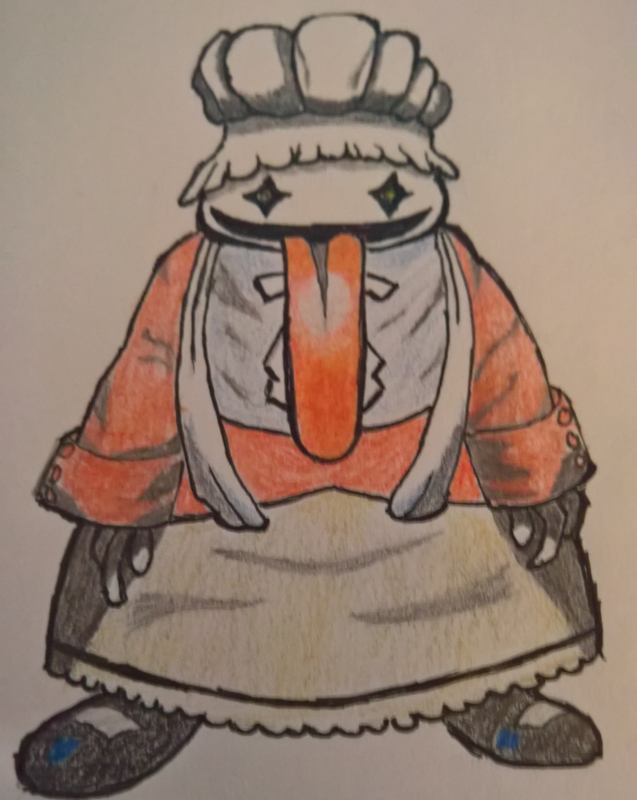 I’ve done some posts of Final Fantasy monsters I’ve drawn before (some broken links there — sorry); but this is the first time I’ve tried doing a main character (click on it for a bigger image). I think my wife’s investment is paying off. This entry was posted in Drawing, Zeichnungen and tagged Drawing, final fantasy, final fantasy IX, Quina Quen, video game, Zeichnungen on 20181124 by matt.